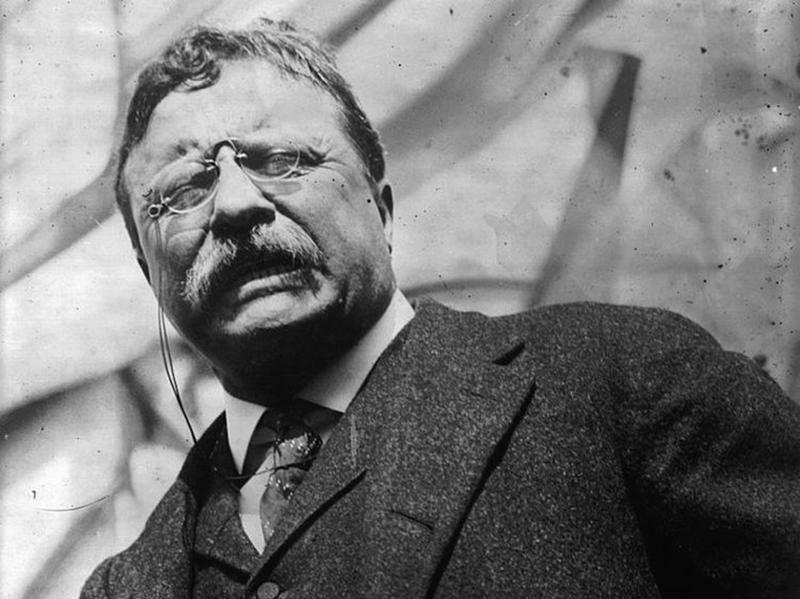 Theodore Roosevelt, the 26th president of the United States, had a reputation for being a tough-as-nails, man’s man. He led the Rough Riders in the Spanish-American War, hunted big game, and explored the Amazon and engaged in a bunch of rugged, outdoorsy, cowboy-like stuff. In short, Roosevelt was the very picture of masculinity. So it may come as no surprise that Theodore Roosevelt was once shot in the chest just prior to delivering a campaign speech, but he didn’t let it stop him. He delivered the lengthy speech…nearly an hour and a half…before seeking medical treatment. Here is the time that Teddy Roosevelt bull moosed his way through an assassination attempt. On his way to his speech, Roosevelt exited the Gilpatrick Hotel and was preparing to step into his waiting car. He took off his hat and waved to the crowd of onlookers. As he did, the pop of a Colt revolver was heard. John Schrank, an unemployed 36-year old New Yorker shot Roosevelt from the distance of about five feet. 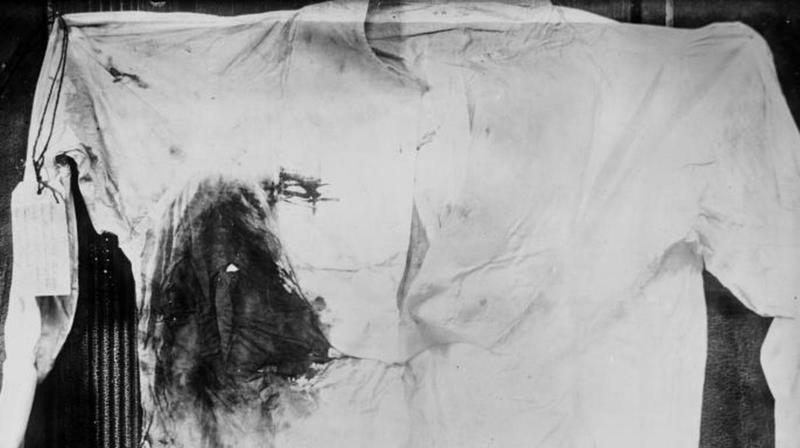 The bullet struck Roosevelt in the chest. After firing on the president, the crowd turned on the shooter, John Schrank. 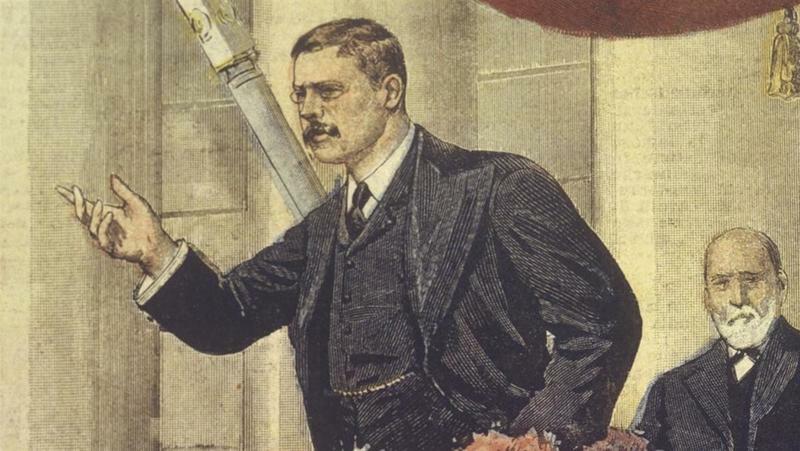 Roosevelt’s aid grabbed the shooter’s wrist and wrestled the gun from him. Someone yelled, “Get him!” and the crowd turned into an angry mob, raining punches onto Schrank. 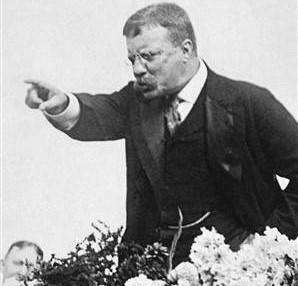 Roosevelt yelled above the frantic mob, insisting that they stop their assault of him. “Bring him here. I want to see him,” Roosevelt said. When Schrank was brought before the president, Roosevelt asked him why he tried to kill him. When Schrank remained silent, Roosevelt turned him over to the police and continued to the venue. Teddy Roosevelt felt the wound and noticed that the 50 folded pages of his speech and his metal eyeglass case seemed to stop the assassin’s bullet. At least that’s what he told his aides and the onlookers. But Roosevelt knew the wound was more serious than he let on. He felt the bullet hole into his ribs and even discreetly coughed into his hand to make sure there was no blood from internal organ damage. 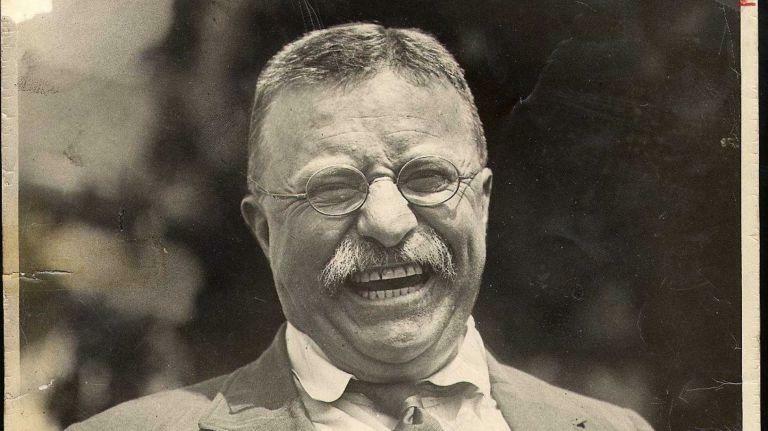 Of course, many of Roosevelt’s companions tried to get him to cancel the speech and go immediately to a doctor, but the robust and virile president refused. He stood before the audience and delivered his shocking opening lines of his speech. To emphasize his point, Roosevelt unbuttoned his vest and showed the audience his blood-soaked shirt. 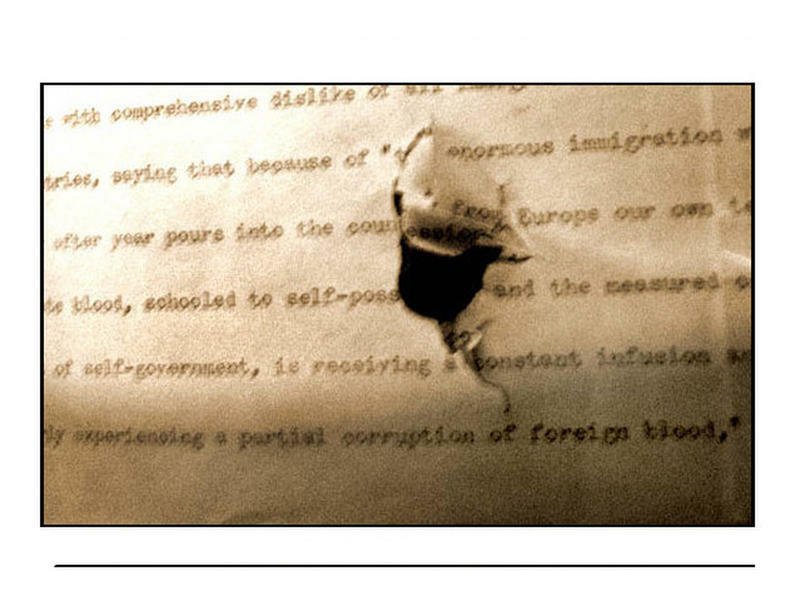 The people gasped, but Roosevelt held up the folded papers of his speech, now with a hole clean through them. 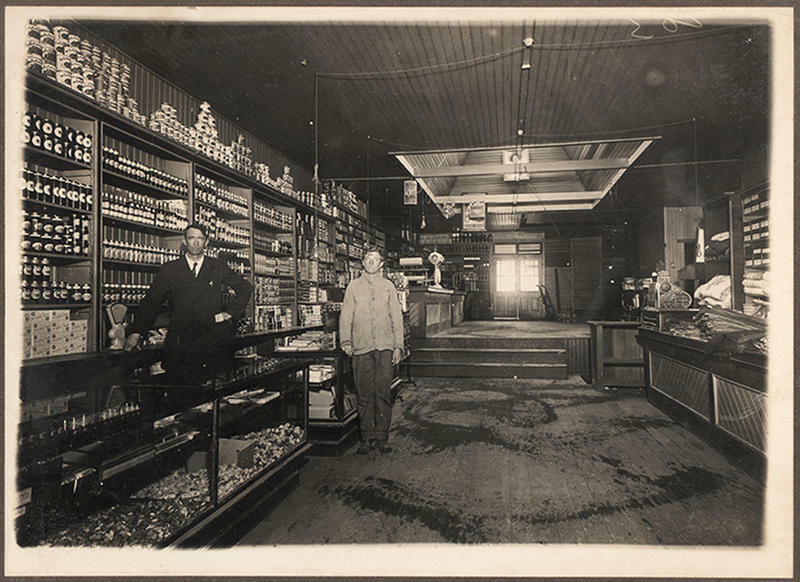 “It takes more than that to kill a bull moose,” he quipped. 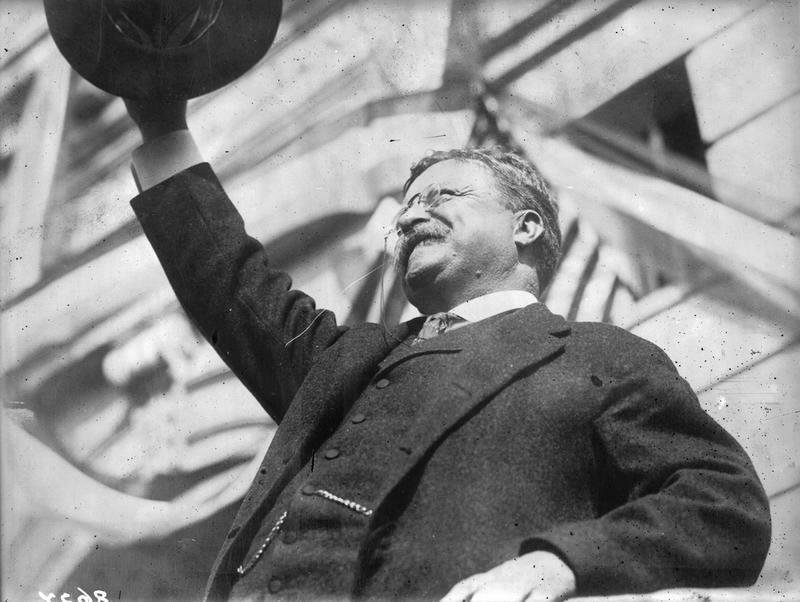 Despite his injury and the loss of blood, Roosevelt delivered his speech as promised. And it was a lengthy speech, too. He ignored his aides who tried to get him to cut his speech short and spoke for one hour and 24 minutes. As the speech went on, Roosevelt experienced some shortness of breath and showed signed of fatigue, but he valiantly continued. Once the speech was over, Roosevelt agreed to go to the hospital. 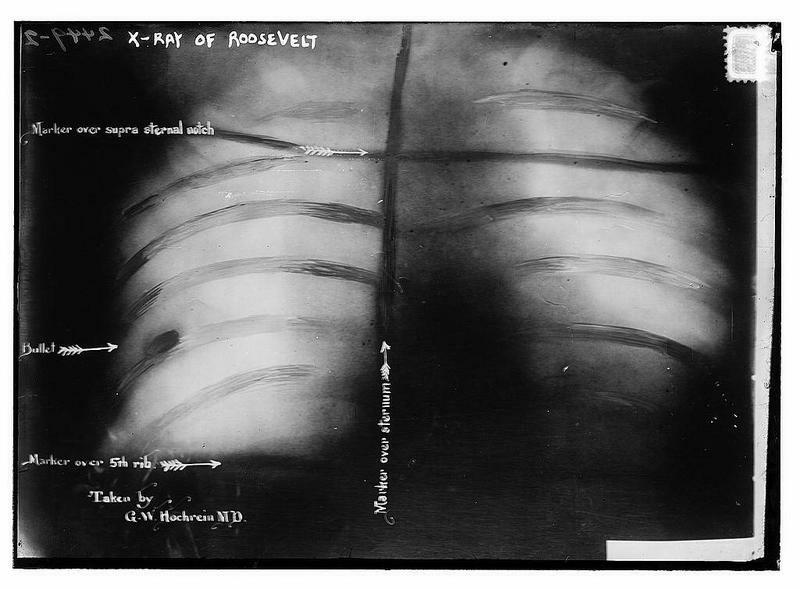 At the hospital, an x-ray determined that the assassin’s bullet was lodged in Roosevelt’s fourth rib on his right side. The doctors conferred and decided that it was probably safer to leave the bullet where it was instead of operating to remove it. Roosevelt sent off a telegram to his wife calling the bullet wound “trivial” and declaring that he was in great shape. The bullet stayed with Roosevelt his whole life and he believed it led to flare-ups of his rheumatoid arthritis. 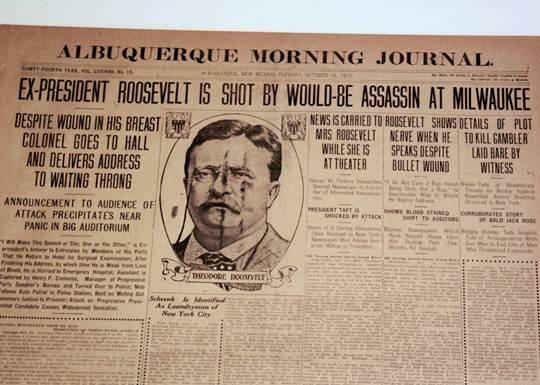 The assassination attempt was just one more example that showed the American public how tough and manly Roosevelt was. But it wasn’t enough to help his campaign for re-election. He was defeated by Woodrow Wilson. As for Roosevelt’s would-be assassin, John Schrank, he was found guilty but insane and spent the rest of his life in an insane asylum in Wisconsin. In the end, Roosevelt was right. It would take much more than an assassin’s bullet to stop the bull moose.